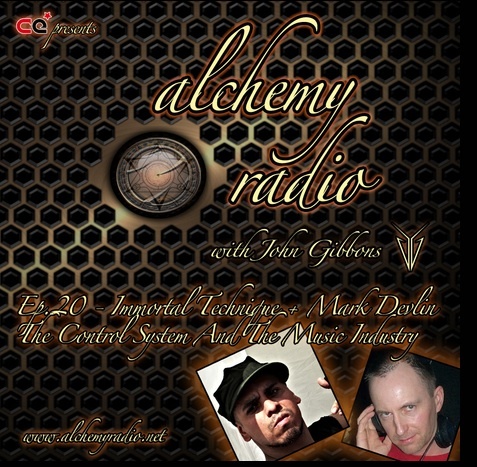 It was great to guest on John Gibbons' Alchemy Radio show this month, in the same episode as Immortal Technique, talking about all manner of interesting and alternative stuff concerning the music business and beyond. You can listen or download on this link. Respect to John for hosting a truly fascinating series, with a strong track record of guests. Audio for open minds.